Want celebrity-looking, healthy hair? Bet on Nuviante! Stress, medication, medical conditions, heavy metals, smoking, poor dieting can affect the health of your hair. The good news is that a systematic and rigorous approach can boost the efficacy of the treatment and let you regain your confidence. To begin growing the healthiest hair ever, check out the latest natural hair treatment on the market: Nuviante. People with diet deficiencies often have dry, stringy and dull hair, or experience hair loss. By addressing the deficiency, the balance can be restored. Biotin – B group vitamins are significantly important for keeping your hair healthy, especially biotin. Also known as co-enzyme R, biotin promotes healthy fatty acids synthesis, an important constituent of cells growth and repair processes. Pantothenic Acid (vitamin B5) – acts as fuel for hair follicles. 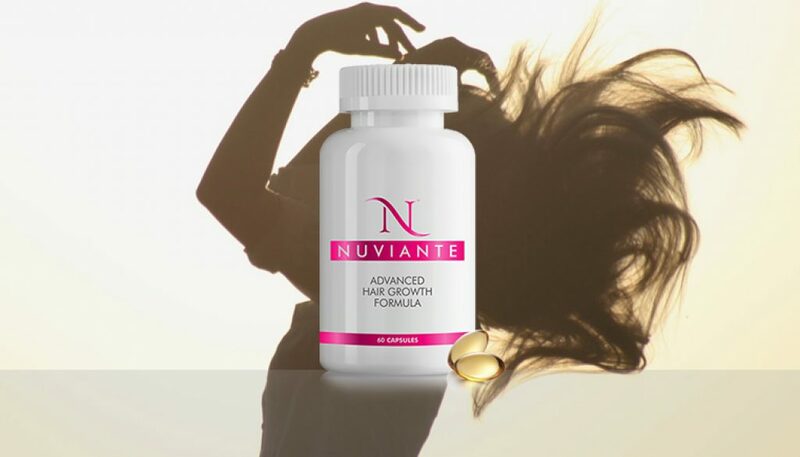 By adding panthotenic acid to the formula, Nuviante promotes a faster hair growing rate. Also, vitamin B5 work wonders on the scalp, by keeping it clean and dandruff-free. Horsetail – the silica and selenium content in horsetail boosts hair regeneration and improves its appearance and texture. Para-Aminobenzoic Acid (PABA) – the ingredient that fights the damaging effects of free radicals exposure. A hair full of vitality is in general a sign of good health, a balanced diet and a proper hair-care routine. Nutrient deficiencies correlate with hair loss and an unattractive aspect. The secret to healthy strands isn’t an expensive treatment or a fancy salon visit—it’s all about nutrients. Regular use of Nuviante translates into good hair nutrition and is therefore an important step of any successful hair-care regime.